Even if it’s your first time filing a tax return, you probably have some idea about the process. This includes different forms you need to submit, credits you might be eligible for and common tax terminology. But what do all those numbers, letters, and acronyms mean anyway? If you don’t know your T2202a from your T4, this post is for you. We’re breaking down the key terms you should know before you file your return this tax season. Soon you’ll fully understand tax terminology! 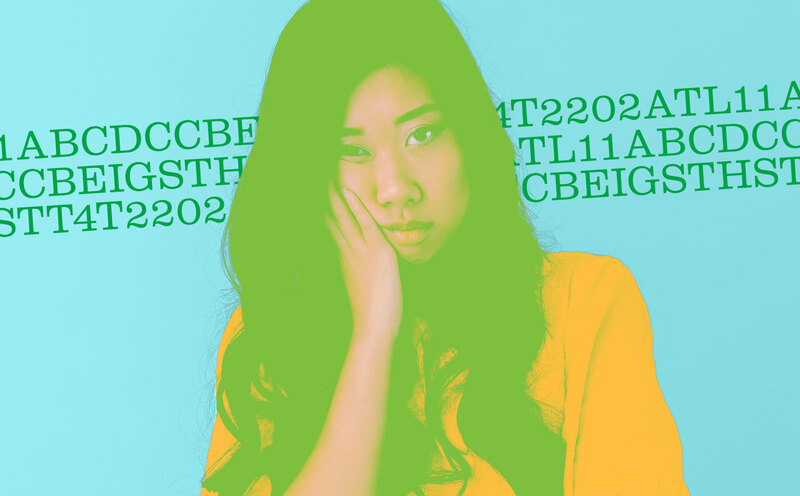 The T2202A is a form issued by Canadian colleges, universities, or other educational institutions that certifies that you were enrolled in a program that qualifies for the federal tuition and education credit. If you made a charitable donation through your school last year, you might also see that amount on your T2202A. If you received more than one T2202A certificate, you can claim all amounts that are more than $100. However, if you’re enrolled at various educational institutions as a full-time and part-time student with an overlap in the month of your enrollment, you are unable to claim the amounts twice. You can only claim one amount for each month, either the full-time amount or the part-time amount. If you’re a parent or under the age of 18, you should take note of this credit. The Canada child benefit (CCB) is a tax-free monthly payment that’s made to eligible families. It helps them with the cost of raising children under 18 years of age. The CCB might include the child disability benefit and any related provincial and territorial programs. The Canada Revenue Agency (CRA) uses information from your income tax and benefit return to calculate how much your CCB payments will be. To get the CCB, you have to file your return every year, even if you didn’t make any money that year. If you have a spouse or common-law partner, they also have to file a return every year. Benefits are paid out over a 12-month period from July of one year to June of the next year. And if your information changes during the year, the CRA will recalculate your benefit the month after the change occurs. The Employment Insurance (EI) program offers temporary income to unemployed workers to support them while they look for a new job or upgrade their skills. The EI program also provides special benefits to workers who take time off due to specific life events like illness, pregnancy, or caring for a new baby. Got a seasonal job? You could also qualify for the program. Keep in mind that you’re only eligible for EI benefits if you’ve paid premiums in the past year and meet certain conditions. Students can be eligible for EI, but you will need to declare your training and prove that you’re still able and willing to work and are continuing to look for a job to continue receiving EI benefits. The CRA has more info on how to access EI benefits while studying. You know that tax you pay on pretty much everything you buy? Did you know you could actually get that back? The goods and services tax/harmonized sales tax (GST/HST) credit is a tax-free quarterly payment that helps individuals and families with low and modest incomes offset all or part of the GST or HST that they pay. It may also include payments from provincial programs. By qualifying, you can receive up to $433 if you’re single, $568 if you’re married or living common-law and $149 for each child under the age of 19. See? Understanding tax terminology can pay off! If you’ve heard of at least one thing on this list, it’s probably this form. The T4, also known as the Statement of Remuneration Paid, is an information slip that shows how much money you earned and how much was withheld and remitted to the CRA. Generally, most taxable income, allowances, benefits, deductions, and pension plan contributions are on the form. While some forms have minimal boxes completed, others can be loaded with information. Box 14 (Line 101) is probably the most important section as it outlines your employment income. This includes your salary, wages, commissions, bonuses, vacation pay, and a slew of other items. You can find a comprehensive overview of the T4 form on the CRA website. So, now we’ve broken down tax terminology. You know the most important tax forms, credits, and benefits and what they mean. What should you do with that information? Well, you could download some tax software and get cracking, or you could let a professional handle it. As a student, you can file with H&R Block for just $39.99, plus a filing fee. 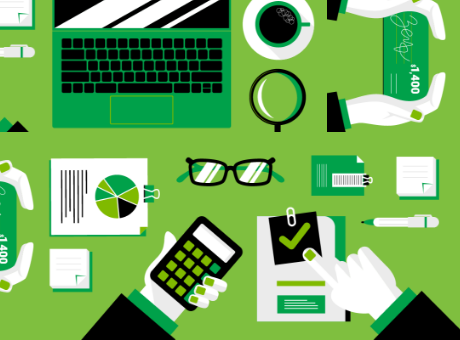 Knowledge is power and when you add H&R Block’s Tax Experts into the mix, you’ll get your tax return filed in no time. Aren’t you happy you learned all of this tax terminology? Jasmine Williams is a Toronto-based content creator. She holds a Masters Degree in Media Production from Ryerson University as well as Bachelors Degree in Journalism from Carleton University.